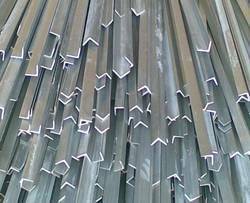 We are a leading Manufacturer of ss 304 angle, ss 304l angle, ss 316 angle, ss 316l angle, ss 321 angle and ss 310 angle from Vadodara, India. Being one of the reputed organizations in the market we are engaged in offering an exclusive range of SS Angle. Available in various customized options, this angle is used in commercial and industrial building to create supported corner. Offered angle is manufactured using premium grade stainless steel and sophisticated technology. Also, our quality inspectors rigorously check this angle on stringent parameters for ensuring its high quality.